Did Pip’s troubles begin at her birth when her mother abandoned her? Or on her tenth birthday when her carer Sully toppled over into her birthday cake as the result of a stroke? Sully is all Pip Sullivan’s got in life so when he’s admitted to hospital and Constable Molly Dunlop makes suggestions about fostering, Pip takes to the streets. She might only be ten, but Pip is a survivor. 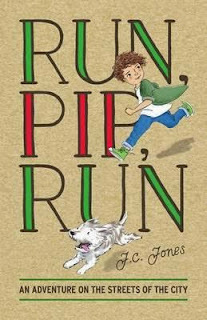 Much of this adventure novel for readers aged 8 to 11 years centres on Pip’s escapades, trying to avoid capture and finding shelter and sustenance. This she does – sleeping in a home for sale, making money betting on horses and firming up a friendship with a school mate, Matilda -- until when she is ‘arrested’ and taken to a police station and from there to a paid carer. It’s then that the wily adventurer once again escapes and is on the run. This is a fast-paced story which is sure to have child-reader appeal. 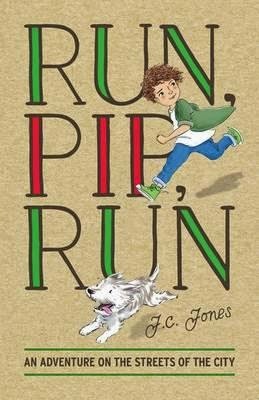 Pip is a resourceful, brave child in a big city, whose loyalty to Sully is unquestionable. When he dies, however, her life is once again transformed, though for this reader the author signalled the ending mid-way through the book. This is not a prize-winning novel (how does Pip manage, for example, to travel without funds to and from three different race-courses?) but it is easy to read and is likely to engage readers who are looking for an escapist story.